Customers can return faulty goods to any Beacon Lighting store with their receipt, within the Warranty period for repair, replacement or refund. Where goods that are faulty have been installed, a Warranty Request Form needs to be submitted to the relevant supplier of those goods. An in home warranty claim can be lodged by completing the online Warranty Request Form. To submit your warranty claim click here. For more information on making your warranty claim, call our Beacon Lighting warranty hotline on 1800 602 243 or email warranty@beaconlighting.com.au. Should you choose to return goods via shipping you would be responsible for the freight costs. Beacon Lighting offers a full refund or exchange for change of mind purchases within a 30-day period with proof of purchase (receipt or website order confirmation email). Should your goods be faulty or damaged upon receipt, Beacon Lighting will offer a full refund or exchange in accordance with its obligations under the Competition and Consumer Act 2010 (Cth) (“Act”). You have three options for returning your goods. To receive an immediate exchange or refund, you can return the goods within 30 days to any Beacon Lighting store. A refund or exchange will be made at the same value as the original purchase price. You must present a copy of your store receipt. All goods must be returned in original packaging, in a resalable condition and have not been installed. To receive an immediate exchange or refund, you can return the goods within 30 days to any Beacon Lighting store. A refund or exchange will be made at the same value as the original purchase price, excluding freight if you had your order home delivered. You must present a copy of your store receipt or website order confirmation email. All goods must be returned in original packaging, in a resalable condition and not been installed. To arrange a refund or exchange by sending the goods back to Beacon Lighting, please email our online sales support team on webmaster@beaconlighting.com.au or call 03 8561 1599 (Mon-Fri, 9.00am-5.00pm EST). You will need to cover the cost of the freight, and include your original receipt or website order confirmation email with your returned items. All goods must be returned in original packaging, in a resalable condition and not been installed. Shipped returns may take up to 14 days to process, and notification will be by email. All fittings have a minimum 12 month warranty, if installed by a qualified electrician, excluding globes. To submit your warranty claim click here. Warranty period on all products is from date of purchase of the original product only, not when any product is repaired or replaced. Beacon Lighting will supply a 2 year in home warranty on all hard wired fans if installed by a qualified electrician. If you have your fan installed by a Beacon Lighting approved electrician (ask in store for an electrician referral), we will extend your in home warranty on the nominated Fanaway Fan (purchased on January 1st 2018 or later) or Lucci fan for an extra 1 year - meaning you will receive the peace of mind of a 3 year in home warranty. To register for your Lucci ceiling fan extended warranty click here. There is a 5 year warranty on all LEDlux downlights, and 3 year warranty on all LEDlux globes. Please note: Products that have been installed cannot be returned for a 'change of mind' refund. Unless a product is labelled DIY (Do-It-Yourself), all electrical work must be performed by a qualified licensed electrician. The costs associated with a claim made against these warranties (i.e. postage) are to be borne by you. 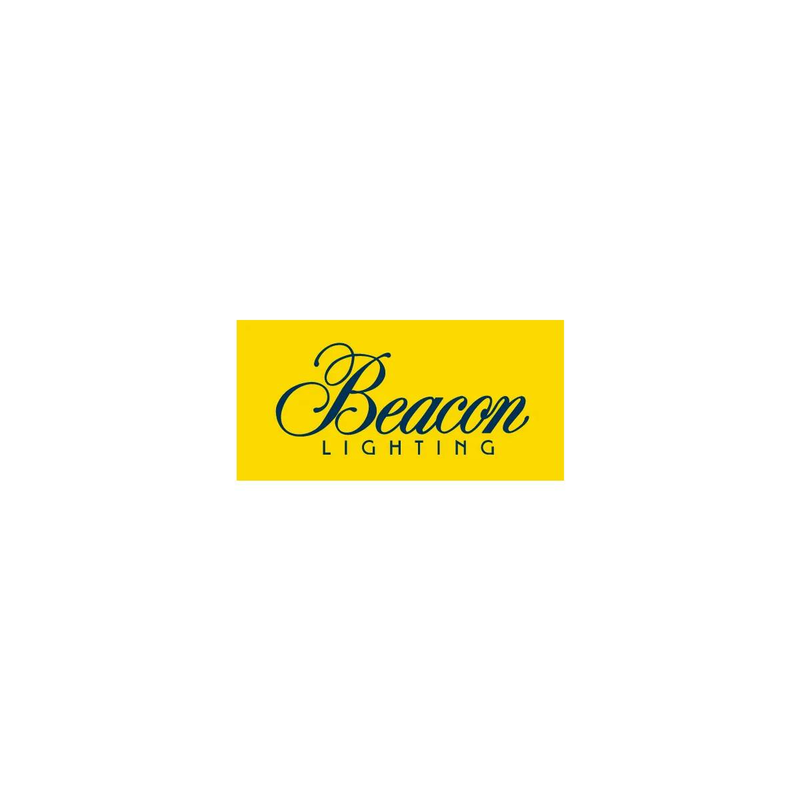 These warranties constitute the entire guarantee by Beacon Lighting. Except where otherwise provided by the Australian Consumer Law, all other obligations, warranties, both expressed and implied are excluded to the fullest extent allowed by law. Distributed in Australia by Brightlife Nominees Pty Ltd ACN 005 137 217, trading as Beacon Lighting, 140 Fulton Drive Derrimut Victoria, 3030 Australia.